Not that Skyrim really needed a tourism board, since millions of people have been spending entire weeks in the place lately, but if it did, you'd hope its efforts would look this classy. These posters were done by artist Dean Walton, and if they look familiar that's because he did a similar series for Zelda in January. 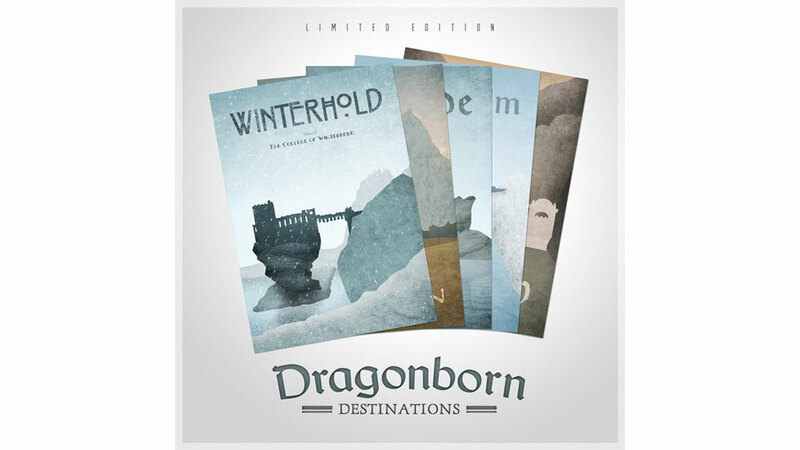 They're part of a set called Dragonborn Destinations, which you can buy at the link below.